Counting down to the opening of Qatar’s largest mall, Doha Festival City brings together more than 200 retailer representatives for operational briefing. Doha, 31 January 2017: Opening on the 5th April, Qatar’s largest mall hosted its second retailer’s event to bring together senior representatives from the prestigious local and international retail brands who will play a key role in bringing Qatar’s premier entertainment, retail and hospitality destination to life. More than 200 attendees were officially welcomed by Kareem Shamma, CEO of Bawabat Al-Shamal Real Estate Company and Trevor Hill, General Manager of Doha Festival City Mall, together with members of the Mall Management team. The retailer’s event, which took place in the Mall’s impressive Centre Court introduced the teams of the 500+ retail brands that will be present in Doha Festival City – to build and strengthen their partnership ahead of the Mall’s opening. An operational briefing from the Mall Management was also conducted which delivered important information on Mall policies and procedures and marketing plans in addition to security and safety requirements. Doha Festival City Mall Management then introduced the retailers to their media partners, ELAN, who highlighted the world class opportunities available to retailers and brands within the Mall and answered all their queries related to the new technology being introduced within the mall. Google’s Go To Market Strategist Martin Grenier, was also present at the event and spoke as to “How Digital is Transforming the Retail Industry”, offering retailers insights on the role of digital media and the importance of technology and digital communications in today’s retail world. 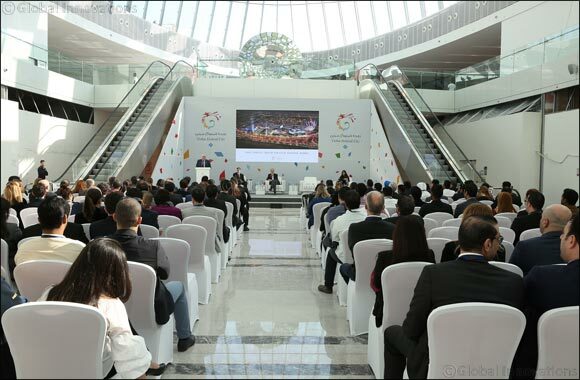 “We were delighted to be asked by Doha Festival City to speak at the retailer’s event and offer insights on how digital media and technology can enhance the customer’s experience. The fast paced digital age is continuously changing and retailers therefore have many new opportunities to support them. Retailers at Doha Festival City will be able to embrace innovative technologies that will support them and their businesses.” said Martin Grenier. Doha Festival City offers a comprehensive mix of entertainment, retail and hospitality options to explore and enjoy. The Mall will be home to more than 500 carefully selected international and local brands along with entertainment offerings and more than 100 F&B outlets delivered with exceptional level of service to offer guests a world-class experience.